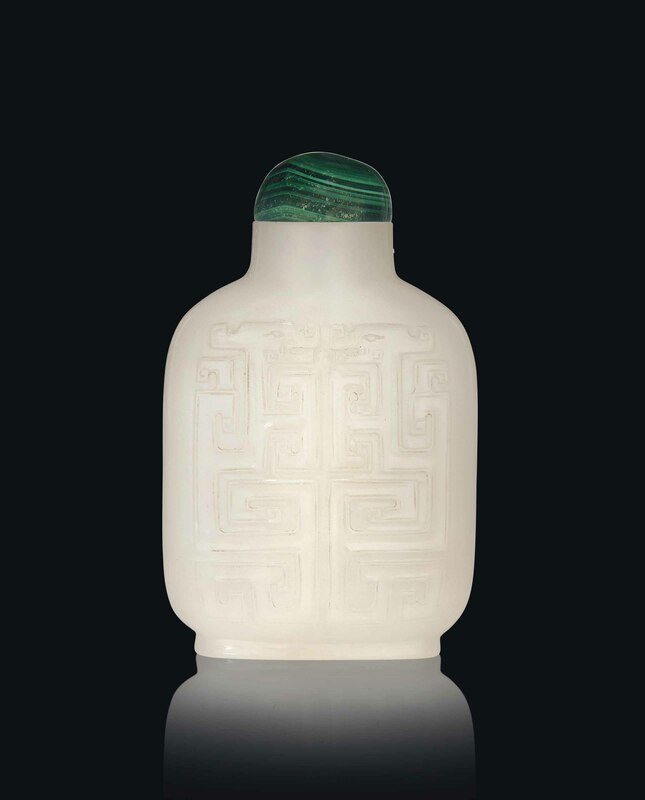 The bottle is of a rounded, rectangular form and is supported on an oval foot ring. Each side is carved in low relief with confronting archaistic dragons. The stone is of an even white tone. Assembled during the 1970s and early 1980s and inherited by the vendor in 1993.